Originally published August 18, 2016 and updated April 16, 2018. If you are looking for an easy trip from Seattle, look no further than Vancouver, British Columbia. Located just a few hours from Seattle, Vancouver has lots of kid-friendly attractions, restaurants and hotels. My family spent 4 days in Vancouver, BC in the summer with our toddler. 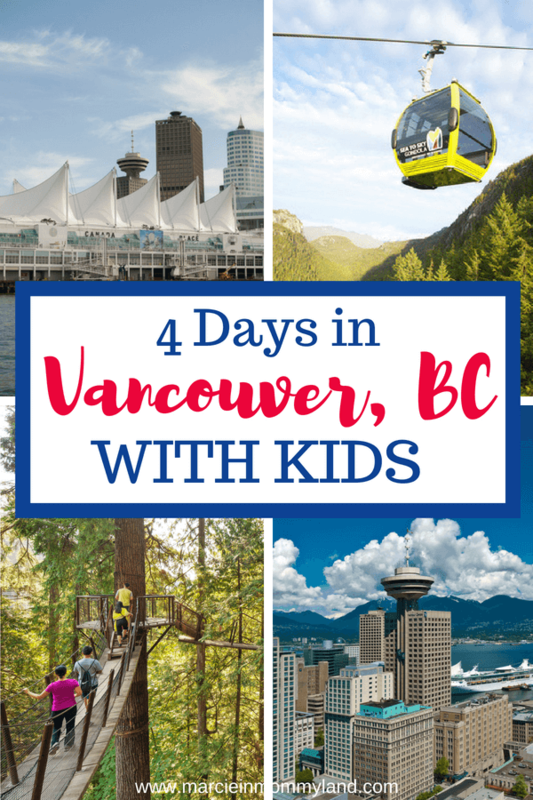 Check out how you can explore Vancouver with kids with my Vancouver 4 day itinerary. If you are driving from the Seattle area, I recommend driving early in the morning. We left Seattle a bit later than I planned and we felt a bit rushed. Thankfully, the Canadian border wait at Peace Arch was just a few minutes and we headed straight to the Historic CPR 374 Locomotive that is on display in Yaletown at the corner of Davie St and Pacific Blvd. It closes at 4pm. We got there at 3:50pm and literally ran to get in to see it because my son LOVES trains! George, one of the docents there, was so nice to explain the importance of the train to Vancouver’s history. In the late 1800s, this train hauled spices and silk from Vancouver to Toronto in just 7 days. And 7 days after that it was in London. Talk about fast shipping for those days! My toddler climbed aboard the locomotive and rang the bell. This is a really fun thing to do in Vancouver with kids! Plus, it’s in Yaletown so there’s plenty of shopping and restaurants nearby. If you are feeling adventurous, you can take the Skytrain to Yaletown, which is ALWAYS a hit! After we dropped our bags at our hotel, we headed straight to the Capilano Suspension Bridge Park. This is one of the top attractions in Vancouver and it’s easy to see why. Yes, there’s the swinging bridge. But, once you cross it, THAT’S where the real adventure begins! 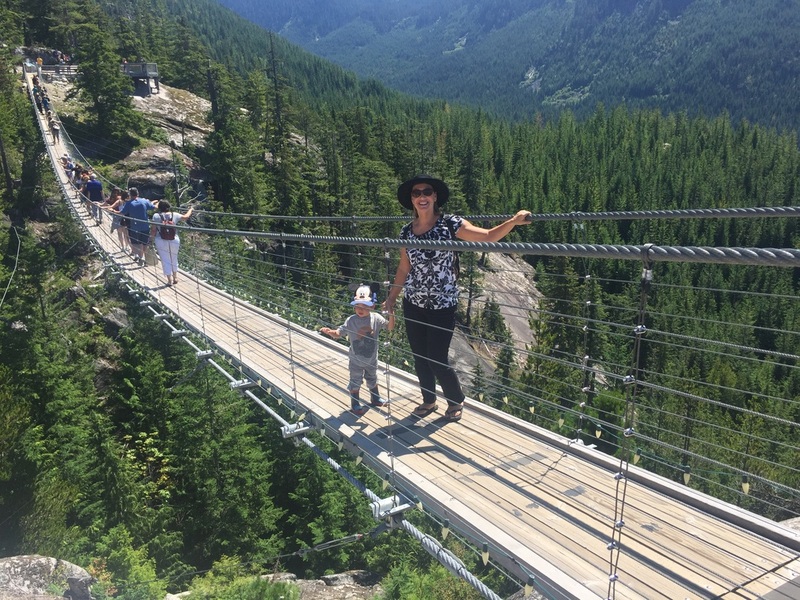 If you’re visiting Vancouver with kids, I recommend going earlier in the day so you can give your family a few hours to explore the Cliffwalk, Treetop Adventures, and participate in the Kids’ Rainforest Explorers Program. We spent our second day in Vancouver, BC at the world famous Stanley Park. With a toddler, you could easily spend a couple of days at Stanley Park exploring and doing all the activities. 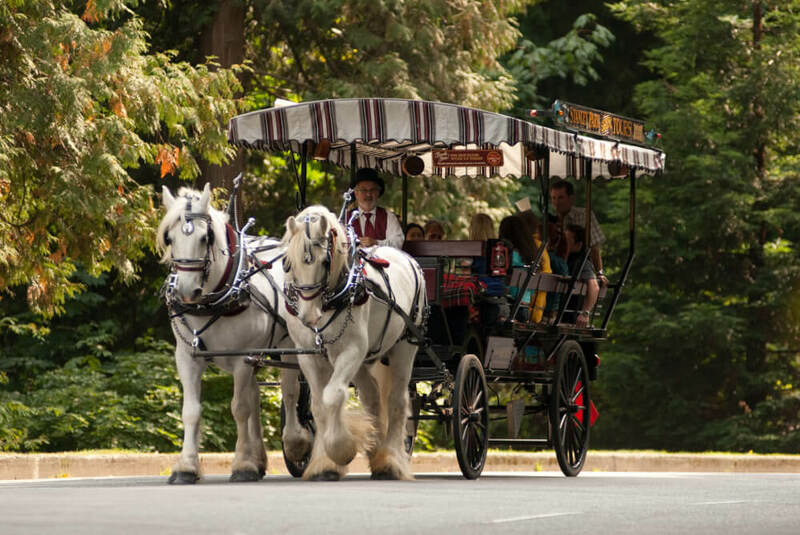 We chose to do the Stanley Park Horse Drawn Tour first, so that we could get a layout of the park. This tour lasts about one hour and new tours depart every 20-30 minutes. Once you climb aboard, your guide will start the narrated tour. You’ll see Deadman’s Island, Vancouver’s Harbour, Lions Gate Bridge, a Coastal Red Cedar Forest, Totem Poles, the Girl in a Wet Suit statue, the Rose Garden and more. Once we passed the sign for the Stanley Park Train ride during our tour, my toddler decided that we needed to do that next. So, we drove over to that side of Stanley Park. The train ride was adorable. 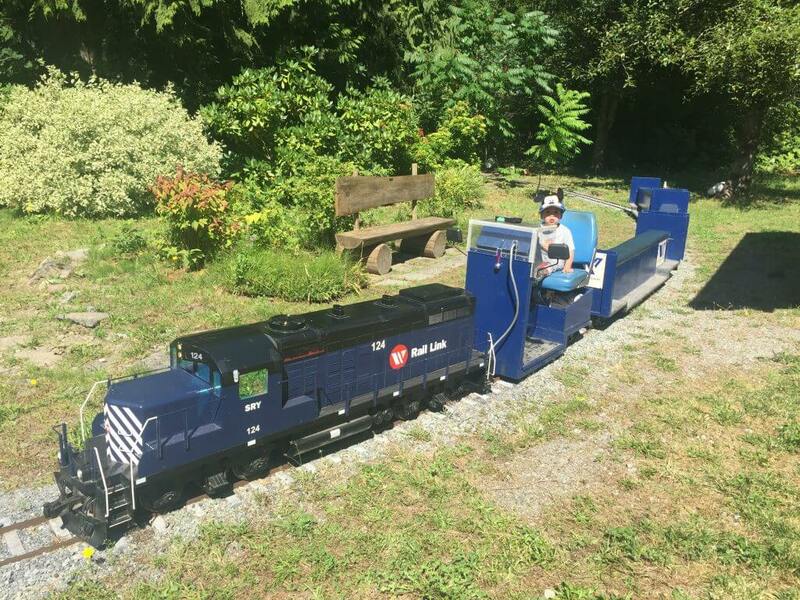 You purchase tickets at the little train station and then climb aboard a miniature train. 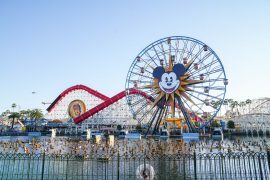 The train ride takes you through a small area of the park that is decorated with beloved characters like Charlie Brown, Foghorn Leghorn, Kermit the Frog and more! They also do themed train rides around Easter, Halloween and Christmas and I’d definitely want to do one of those to see how they change it up. After the train ride, we grabbed burgers, hot dogs and pretzels at the nearby concession stand and headed back to the hotel to rest. My toddler loves to ride on any type of vehicle, but buses are always a hit! We climbed aboard the open air double decker bus for a Hop On Hop Off tour of Vancouver. The tour was perfect in July because we could enjoy fresh air while marveling at the city. We spent about 90 minutes on this Hop On Hop Off bus tour because our destination was the Vancouver Aquarium. My son had been so excited to ride that he skipped his nap. So, he ended up falling asleep halfway into the tour. That worked out because he was refreshed enough to continue our day at Stanley Park. We made it to the Vancouver Aquarium about 2 hours before it closed. That was enough time for our family. But, since it’s home to thousands of incredible ocean species, you may want to spend an entire afternoon here. 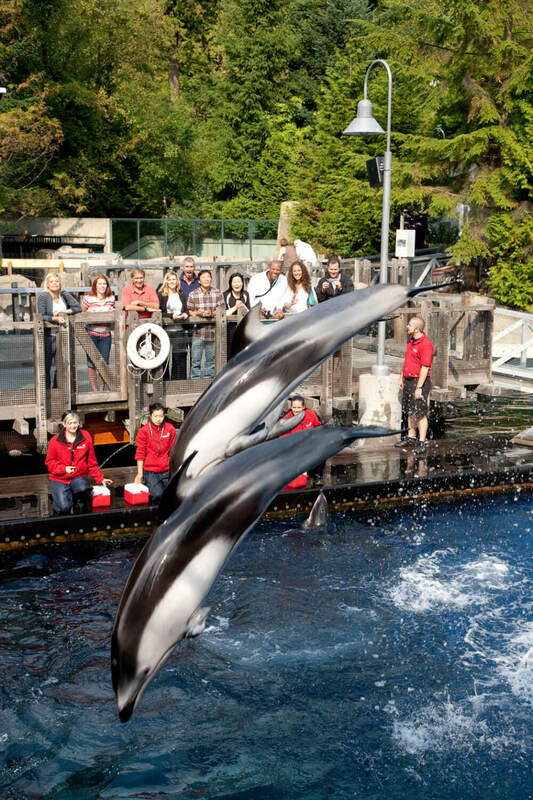 The Vancouver Aquarium provides several family programs where kids ages 8 and under can participate in crafts, singing, puppet shows, games and make-believe journeys involving sea life. They also have Clownfish Cove, located next to the Exploration Gallery. This is a place for kids to pretend to be a junior animal technician, build octopus dens, and learn more about animal preservation. One of the coolest parts of the Vancouver Aquarium is their outdoor mammal shows. These shows feature dolphins, sharks, sea lions, penguins and more. We also enjoyed seeing the jellyfish and large mammals. We grabbed a quick dinner at the Vancouver Aquarium specifically so my son could enjoy a chocolate ice cream cone. Yes, they have ice cream in a prominent location and your children won’t be able to think about anything else. I love to do day trips when we travel. We decided to spend our 3rd day in Squamish, BC. Located just an hour from Vancouver, Squamish is right on the Sea to Sky highway. If you’ve ever driven to Whistler from Vancouver, you would have passed Squamish. We headed straight to the West Coast Railway Heritage Park because my toddler really wanted to see the trains. It was even cooler than I imagined! Lots of stuff for kids and adults and the staff were really friendly. The West Coast Railway Heritage Park features a typical mid-20th century railway station and old style town center. They have more than 90 pieces of railway cars and artifacts. It’s also massive at 12 acres of park. And they have historic exhibits including the Brightbill House, blacksmith forge, wash house, and vintage printing press. Additionally, they have a Roundhouse that’s home to 5 vintage trains, including the world famous Royal Hudson steam train. If your kids love Thomas the Train as much as mine, seeing a “steamy” in a roundhouse is a HUGE deal! My son’s favorite parts of the West Coast Railway Heritage Park were the outdoor Thomas the Train Tables and riding the Mini Rail. Oh, and buying a Polar Express train puzzle. We were there 2 hours and could have easily spent another hour there. I’m not afraid of heights, but I’m a nervous flyer. When we pulled into the parking lot, I saw all the gondolas racing up and down the mountain and I instantly panicked. Thankfully, those fears easily subsided. I was thrilled that the Sea to Sky Gondola in Squamish was so family friendly! There are floor to ceiling glass windows so you can enjoy breathtaking views of Shannon Falls and the famous Squamish Chief climbing area. At the summit, you’ll find two different interpretive loop walking trails with stunning viewing platforms. There’s also the spectacular Sky Pilot Suspension Bridge, numerous hiking trails, rock climbing, and lots of hiking trails. We rode the gondola up and walked across the suspension bridge. The views were incredible! Since it was afternoon and my toddler was tired, we spent about 20 minutes soaking in the gorgeous viewpoints. If you were to arrive earlier in the day, you could easily spend a few hours walking around. They even have a restaurant at the summit with the best view! At the base, we headed to the grab and go cafe and ordered pre-made sandwiches. This hit the spot for us! My toddler got the rest of his energy out at the playground there and then we hopped in the car so he could nap on the drive back to Vancouver. If there’s one famous street in Vancouver, it’s Robson Street. Known for it’s incredible shopping, Robson Street is worth a leisurely stroll. They have international luxury brands, souvenir shops, restaurants, coffee shops, a mall. We always stop at both Roots locations and stock up on sweatpants for the whole family. I also like to pick up a crepe to eat while walking around. Oh, and we like to hit up London Drugs to pick up massive Lindt chocolate bars and specialty potato chips not found in the U.S.
You’ll also see Robson Square, that features the Vancouver Art Gallery. Every time we go, we always run into a street festival or event. We like to walk all the way to Gastown. For our last day in Vancouver, we opted to walk around downtown to people watch and see what we could see. We ended up walking to the Vancouver Lookout near the waterfront. It was a nice walk from our hotel and my toddler was excited for the elevator ride. I thought we’d be able to see more of the city from the elevator since there were glass panels, but we really couldn’t see much during the short ride. But, once we got up to the observation level of Vancouver Lookout, we had incredible panoramic views of the entire city! If you are going with kids, take advantage of their Sky Scouts program. Sky Scouts is designed for children ages 6-12 to learn about Vancouver through exciting and interactive activities. 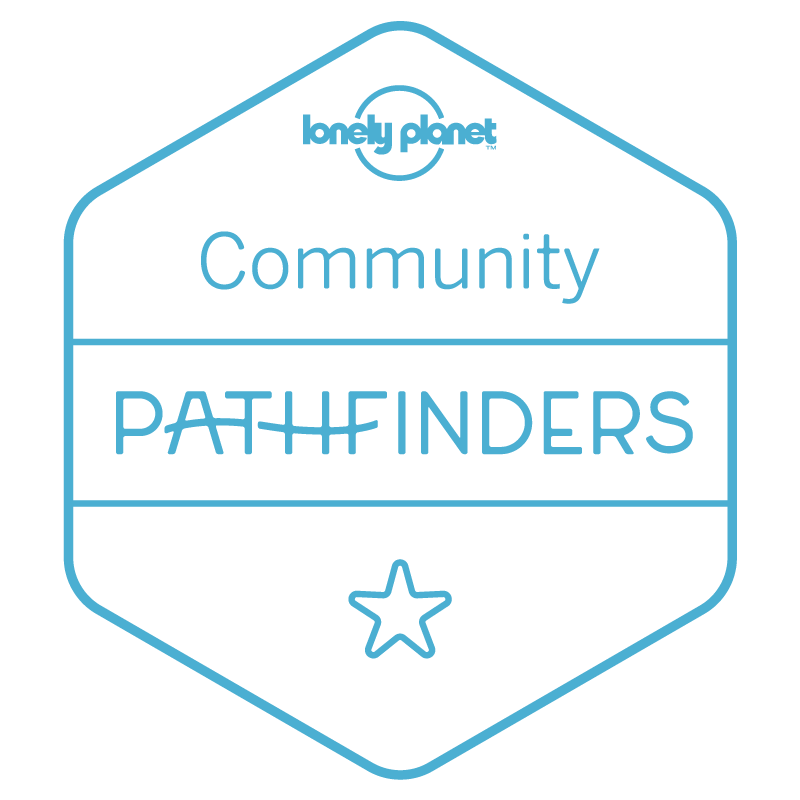 They have both guided and self-guided tours. And each child receives a fun activity book filled with puzzles, coloring pages, and games. Since Vancouver is a waterfront city, it would be a shame to not experience it FROM the water. We boarded a one hour harbour cruise and it was lovely. We learned a bit about Vancouver’s history through the humorous narrated tour, however we spent most of the time gawking at the amazing views and soaking up the sunshine. Not only was the weather beautiful, but we got to watch seaplanes take off. There was a lot for my toddler to see and one hour was the perfect time to be on the boat. They have 2 restrooms on board and sell snacks and drinks. Then, we hopped in our car and headed to the U.S. border. It ended up taking us 2 hours to get from Vancouver to the Peace Arch crossing because of afternoon traffic. This is a popular Vancouver family attraction. We’ve done it a few times. We like to take the mini ferry to get there! They are almost like toy boats that come around every 2-3 minutes and ferry families between Granville Island and other mini docks around False Creek. It’s a blast for kids! There’s also live music, restaurants, and artwork. But, your kids will probably be most interested in the Kids Market. Here, you’ll find independent toy stores, children’s clothing, and a play area. And there’s also the largest free water park in North America! If you enjoyed the Sea to Sky Gondola or don’t have time for a day trip to Squamish, Grouse Mountain is a good alternative. Enter the Skyride and head 3,700 feet above the city for a spectacular panoramic view of Vancouver. During the summer, you’ll experience a grizzly bear refuge, a lumberjack show, and outdoor activities. During the winter, you can enjoy a sleigh ride, skiing, snowboarding and even visit with Santa. 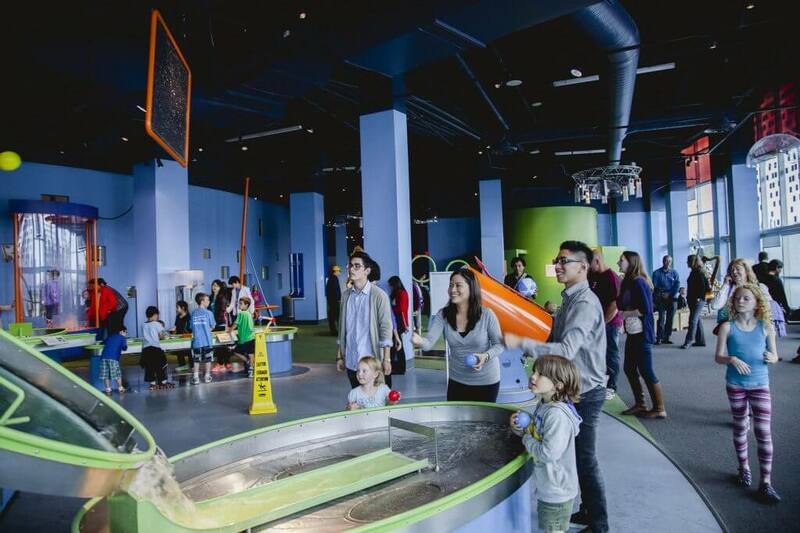 Telus World of Science is one of our favorite kid activities in Vancouver. My husband enjoys it just as much as our toddler! Here you’ll find the latest feature exhibits, hands-on interactive displays and special events. You can also watch OMNIMAX films on one of the world’s largest dome screens. There’s also a restaurant and fabulous gift shop. Are you wondering where to stay in Vancouver with kids? We’ve stayed at the Auberge Vancouver Hotel and love that there’s a door to separate the bedroom from the living room. During the holidays, we love staying in the condo side of Sutton Place because it’s all decked out for the holidays! I’ve reviewed the Executive Hotel Vintage Park and the Sheraton Wall Centre Hotel on my blog. We’ve also heard great things about the Four Seasons, Fairmont Vancouver, and Westin Grand Vancouver for families traveling to Vancouver. This is a great spot to let the kids play while enjoying breakfast or lunch. They have locally sourced and organic food options for kids and adults. And kids can get a “tapas box” with things like fruit, crackers, and wraps. Plus, they have a play space perfect for imaginative play. This is a European pancake house that also has gluten-free options. We visited their West 2nd location. They have a play kitchen and tons of toys to keep kids occupied while you wait for breakfast. This is another cafe with a play area. They offer baked goods, sandwiches, wraps, etc. You can also pick up frozen meals to take home for later! Walking: Vancouver is a very pedestrian-friendly city. If you are staying downtown, you’ll be able to walk most places. Taxis: Taxis (including accessible wheelchair taxis) are plentiful and can be hailed on the street, as well as found at designated stands, and called for pick-up. Driving: Whether you drove to Vancouver or have a rental car, this is the easiest way to explore outside of Vancouver. Skytrain: This is one of our favorite ways to explore Vancouver, especially when we stay in Richmond. It’s a fast subway-type train that zips in and out of Vancouver. Marcie in Mommyland received an Experience Pass from Tourism Vancouver which provided complementary admission to Capilano Suspension Bridge, Westcoast Hop-on, Hop-off Tour, Stanley Park Horse Drawn Storytelling Tour, Vancouver Aquarium, Sky to Sea Gondola, Vancouver Lookout, and Vancouver Harbour Tour. The bridge at the summit looks amazing! You did so much in only 4 days. I’d love to visit Vancouver and follow in your shoes. Thanks Fern! It’s an incredible place to visit! Such adorable pics! I’ve never been to Vancouver, but it’s definitely on my list. It’s also great to see how you travel with your toddler, sometimes I’m afraid that when I (eventually) have children it will hold me back from traveling. I feel a lot better about that now after reading your post! Thanks Lianna! I know traveling with children (real or hypothetical) sounds daunting so I’m glad I can help alleviate some fears! Plus, it’s a great hobby/lifestyle to show kids! That suspension bridge looks awesome!! Glad you had a good trip and were able to manage the little one’s needs and temperament as well! Adding a toddler to the mix does make travel a little different! Yes, adding a toddler definitely makes it a different trip, but so worth it! Highly recommend the suspension bridge because it’s a fun experience and the scenery is gorgeous! Wow! This looks like an amazing adventure. I’d love to visit that bridge! Kallsy, you should definitely check out the bridge! Vancouver is such a cool city to explore with or without kiddos! It’s not easy travelling with a toddler but you covered alot in four days. Thankfully my kids are tweens now so it’s easier. Vancouver looks great. Vancouver would be awesome for tweens! So many outdoor activities! Thanks! It was a bit exhausting, but I like to maximize! Its looks like a good itinerary. the views from the Harbour Cruise in Vancouver is awesome. A walk on the bridge will make my day. I would love to visit. Definitely check out Capilano Suspension Bridge! Sounds like you all had a really incredible vacation and it was full of fun activities, like the observation tower. I always LOVE when you can get a full view of the city/location from up above! Magical! Yes, the observation tower was so cool! Vancouver, BC is such a fun place! It looks like y’all had a blast! Traveling with a toddler can be a struggle, but it looks like you handled it rather well. Sounds like a fun trip. My husband loves all things trains. Oh wow I love that bridge, very cool and probably scary? Yes, Capilano Suspension Bridge is definitely an experience! There are just SO MANY cool things to do in Vancouver! I adore Vancouver! I hope to visit some of these places you mentioned, especially that bridge. Yes, do Capilano Suspension Bridge Park! It’s fabulous! Stanley Park is full of stuff for kids and adults! It looks like you all had an fabulous time. That bridge would be awesome to walk across! Capilano Suspension Bridge Park is awesome! I would love to visit Vancouver. This post helps a lot both with planning and just learning. It’s such a fun city to explore! What a great train, I have 5 boys who all loved trains as little boys and would have loved seeing one like this. We LOVE trains and train-related activities! How awesome! I almost went to Vancouver about a couple years ago, but then there was a change in plans. I’ll definitely want to try to visit again someday, though! This looks like it was such a great time. I would love to take my kids to visit Vancouver. There are so many fun kid-friendly events in Vancouver! Vancouver has always been somewhere that I have wanted to visit. It’s nice to know that there are so many things to do with kids. It’s an incredible city to visit with kids! This looks like a beautiful place to live and visit…. it looks like your son had so much fun! Thanks for sharing! We went skiing in Vancouver last year and it was absolutely beautiful! That bridge looks terrifying! Vancouver in the winter is a blast! Hope you had a great ski vacation! I think the entire Pacific Northwest would be beautiful to visit. From Seattle right on up to Vancouver, it all seems gorgeous to me. I want to visit there soon. Please visit! I’d recommend Portland,OR too if you can swing it! OMG that bridge is amazing but would scare the CRAP out of me! I am pretty at least one of my kids would climb the ropes and try to fly…. Hahahaha! It’s all pretty safe, but I was watching my toddler like a HAWK! I’ve never been to Vancouver. That’s awesome it’s not too far from where you live! Yes, I’m really lucky to have so many fun places within a few hours of Seattle! What a fun way to get out of town and spend time with your mom. Who knew that Vancouver was so toddler-friendly. It’s super toddler-friendly! My Mom had so much fun! My husband has been talking a lot about wanting to plan a trip to Vancouver and I keep shrugging him off, lol. You made it look like a lot of fun though! This looks like a fab trip, although you’re braver than I am for taking a trip with a toddler haha! We’ve never been to Vancouver but it looks nice. He’s usually up for an adventure! I’ve been dying to check out Quebec! You are so lucky! But, you should definitely make a trip to the West Coast, especially May-September when it is stunning! 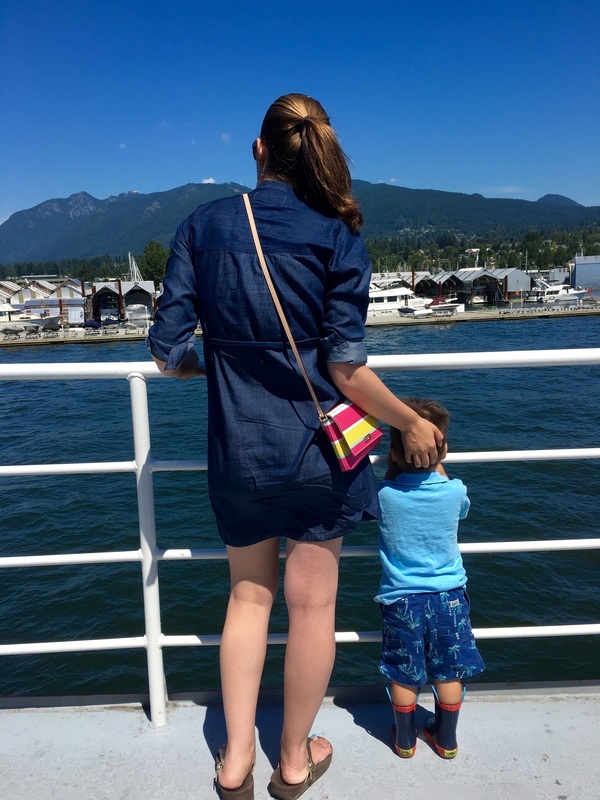 I’m heading to Vancouver in August (but not with a toddler, lol!). I’m so excited, looks like you guys had fun! August is PERFECT! If you’re able to head to Squamish, the views from the Sea to Sky Gondola are amazing in the summer! My husband’s dream trip is to go to BC. I will have to show him these pics! They are beautiful! You should surprise him! It’s such a fun place! Traveling with toddlers can definitely be a challenge, but I can see you planned a fun trip that every age could enjoy! Yes, we all had a blast! Next time I won’t push as hard, but we slept really well at night! What a great picture on the harbor. This looks like it was a fun trip! It was fabulous! I’m hoping to head back up there this summer! You guys seem like you all had a great time. I am so glad. You can’t get enough energy out of a three year old lol. You’re telling me! Capilano Suspension Bridge Park is a great place to try, though! Looks like you all had a great trip! The view from the bridge is amazing, stunning view, You can see for MILES! Yes! It was quite a stunning view! Looking forward to heading back! Wow you really achieved a lot considering you had a toddle in tow. I would love to visit that Sea to Sky Gondola and walk over the bridge – it would certainly test one’s fear of heights I think! My Mom told me she had a fear of heights AS we were in the gondola! I had no idea! But she survived and even enjoyed it! It sounds like you had so much fun! We used to live close to Vancouver BC but we didn’t get a chance to take the kids. I’d love to go back and visit! They would love it! Yes! Go back if you can! There’s so much for kids to experience! Vancouver is a great place to visit! It’s been a while since I was there, and I want to go back. We stayed on a houseboat on our last visit. It was SO unique! A houseboat? That sounds incredible! I’m going to look into that! As a military wife who could barely handle her busy schedule I am truly glad I came across your post. I love checking out new things and places. Your travel post are absolutely incredible plus your bundle of joy really looks adorable. Great to hear you had fun! Thanks Angela! We are always up for an adventure! It looks like a great place for a tour with toddler. I can tell you had a great time. It’s a perfect destination for families with toddlers! Looks like a really fun vacation! I’ve not been here but this certainly looks like a place I could take the kids. It’s such a fun destination for kids! Toddler travel is an adventure. They can be so unpredictable, but it’s always worth it in the end. Looks like you had a great time, minus the vomit at the end. We’re so lucky that Vancouver is only a few hours away from Seattle! It would have been great if I had been there at the same time as you guys with my daughter, she is terrible 2. Your boy looks so well behaved, my daughter would be running around crazy. I think I’d have had to spend the 4 days in Stanley Park! Next time we’ll have to sync our calendars! Stanley Park has plenty to do just in itself! Wow, what a fun vacation! The photos look awesome. Have never been but would love to go someday! Definitely add to your bucket list! Such a gorgeous place! I applaud you for creating a toddler-friendly itinerary lol. I don’t have any children but I can tell that to keep them occupied is to go with the flow. And I think that’s the best way to explore a city. Have a little plan but adapt as needed. Thanks for sharing! I like to have a plan, and then know I’m going to deviate from it! You had such a jam-packed few days! 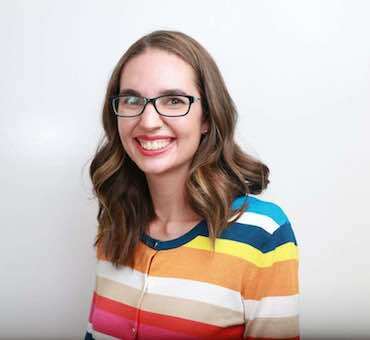 I just love that you catered everything to your little boy, his nap time and what he would enjoy, I think that’s really special and kudos to you! Also – no way is that your mom in most of the photos?! She looks so young!!! I have an appointment for my passport on Friday. We are headed to Jamaica in May, but maybe I can sneak in another trip! Looks like you had a blast. Add in Vancouver, BC whenever you can! It’s so fun! Wow I would love to go to Vancouver with my family! I think their favorite will be that locomotive! Both my kids are HUGE fans of trains! They can’t get enough of them! I’ve learned more about trains in these past few years than I ever thought I would! It can be so hard to plan a vacation especially when traveling with a toddler. You did great and love that you were able to do so many fun things in four days. Vancouver looks lovely! Yes, we had a lot of fun! Historic CPR 374 Locomotive on display in Yaletown will be first choice as my boys loves to see trains a lot and so they would prefer this. Walking on bridge at the summit of the Sea to Sky Gondola seems beautiful as the view from there is incredible. Very detailed itinerary for 4 days with full of activities. 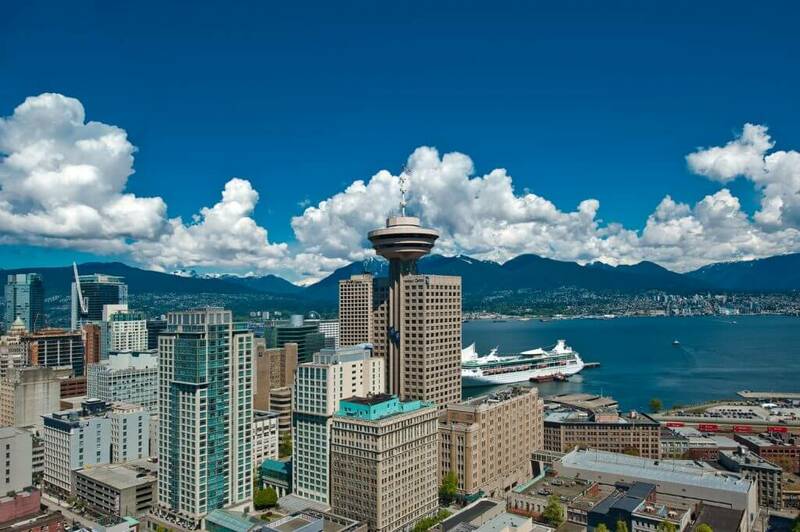 A trip that includes Vancouver and Seattle is high on our list! Our kids are older now, 11 and 13, but some of these tips continue to apply!! What great fun – especially the train and suspension bridge!! The bridge would terrify me, LOL, but the kids would find it fantastic. I find myself routinely getting out of my comfort zone with them! If you do come to the PNW, let me know! I have tons of suggestions! Capilano Suspension Bridge Park would be awesome with tweens/teens! I would love to take my daughter to Vancouver and especially Stanley Park, she is 3 so would love it! She’f love watching the sea planes setting off and landing too as well as the boats in the bay. The suspension bridge does look scary, she’d be so nervous crossing it I think I’d have to carry her and she’d be screaming! Owen is just adorable! My daughter is just a little older than he is, so we’re in the same travel stage: have an itinerary, but allow plenty of time for play and probably a few meltdowns, too. 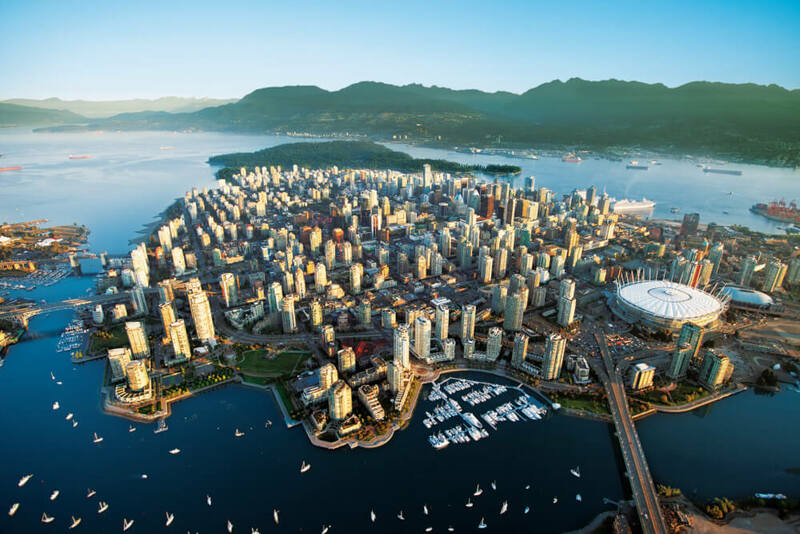 🙂 I haven’t been to Vancouver yet, but it looks absolutely stunning. My daughter would be so excited for the horse drawn carriage and the bridge especially! Vancouver is a really do-able city with small kiddos. Tons of things to engage kids and lots of yummy food! That sky bridge is so high, I am getting goosebumps just by looking at the picture. Stunning views though, but I would be so scared. 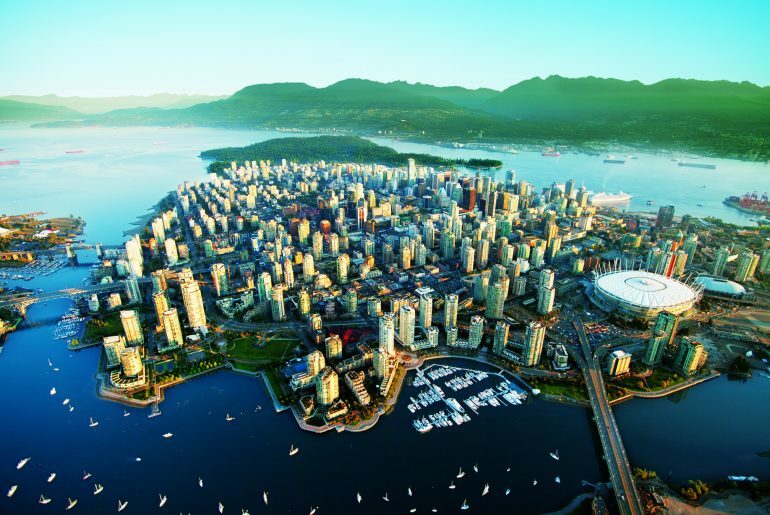 Vancouver looks really beautiful, I would love to visit one day. The harbour cruise must be really nice, especially with the sunny weather you were having. But more than anything else, I am in love with the locomotive museum! <3 Love all things antique and I am sure this is one place kids would LOVE! We love all things train-related so the West Coast Railway Heritage Park was amazing! This was a well-planned trip! Your kiddo looked happy. I have traveled with my sister and her 3-year old son. She was super organized and let her son take naps or else he would be moody. I like the Capilano Suspension Bridge a lot. The trees are magnificent. This is a great place to explore! I love this! What a perfect family vacation! And gorgeous photos! Thanks! Vancouver is such a kid-friendly city! 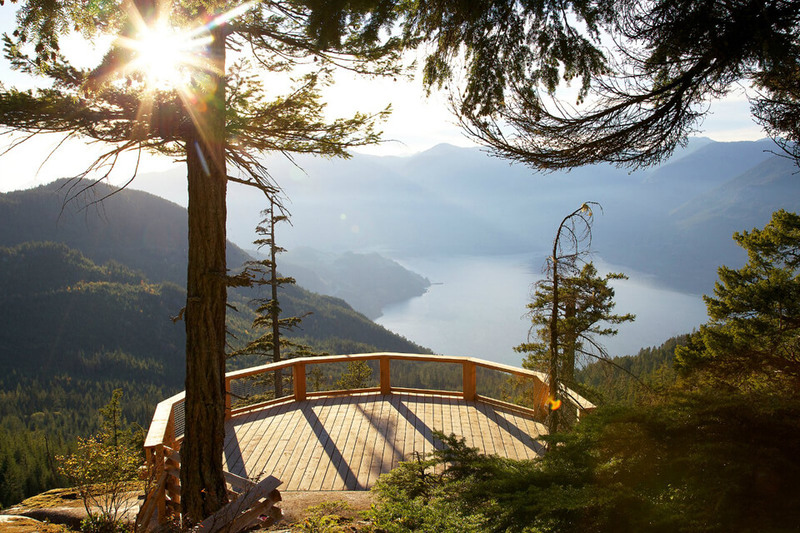 The sea to sky gondola must be such an amazing ride and view – looks so gorgeous. This is a really insightful and helpful itinerary for anyone visiting Vancouver with kids. The Sea to Sky gondola is one of our favorite attractions! 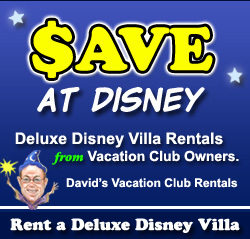 It’s one of our favorite local vacation spots! Oh my goodness this looks like so much fun! My little one would have a blast doing all of these things, especially the ones involving trains! Vancouver is beautiful! I can’t get over that bridge! 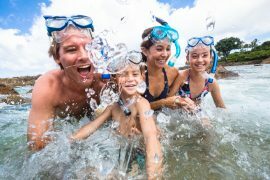 It looks like a great family friendly itinerary! Isn’t the Capilano Suspension Bridge incredible? How fun!! The science world looks seriously awesome!! We will have to make sure to make it there. Yes, make a stop there! And if you have a membership to a local museum, you might get in free! This place looks so amazing. Glad you had an amazing time. Sounds like a fun little trip. The aquarium looks awesome. Never mind your little one I want to go specifically to have a chocolate ice cream! The gondola ride looks really cool too, spectacular views. The gondola was a highlight for me! Yay! You’ll have such a fun trip! Squamish and go to the Sky Pilot Bridge. Your pictures looks amazing. Sounds like a wonderful itinerary. I’m sure the kids loved the aquarium, but I have such issues with zoos and such, but besides that I would love to do this in its entirety! You could definitely do an overnight in Squamish so you’d have lots of time for hiking! Vancouver seems like a really child friendly city, with a ton of attractions which entice kids. Your little one seems to have had an amazing time. I might stay away from the Gondola and the suspension bridge given my acrophobia, but everything else seems awesome. Haha! Yes, the gondola and bridge might not be up your alley! It’s amazing – the Vancouver you saw is so different from the one I saw, the only common point being Capilano Suspension Bridge Park. Isn’t it interesting how differently people travel? 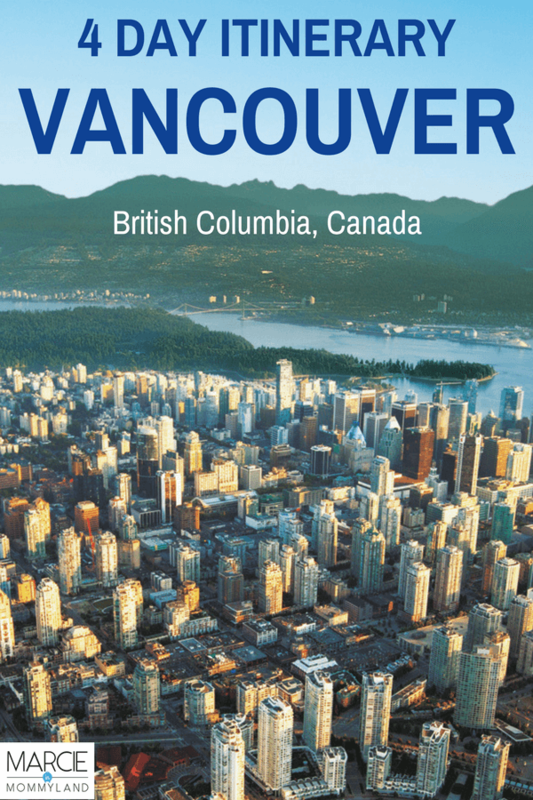 I had never thought about Vancouver as a destination…especially with children. Now, it is going to the top of my list of places we need to go as a family! It’s a gorgeous city and there’s tons of yummy food! This sure looks like an amazing trip! The Suspension Bridge Park and Gondola looks especially neat. Thank you for sharing your great trip. Yes, Vancouver is a fun family destination! Yes, those are my favorite highlights from this trip! You have shown us a different side to Vancouver. 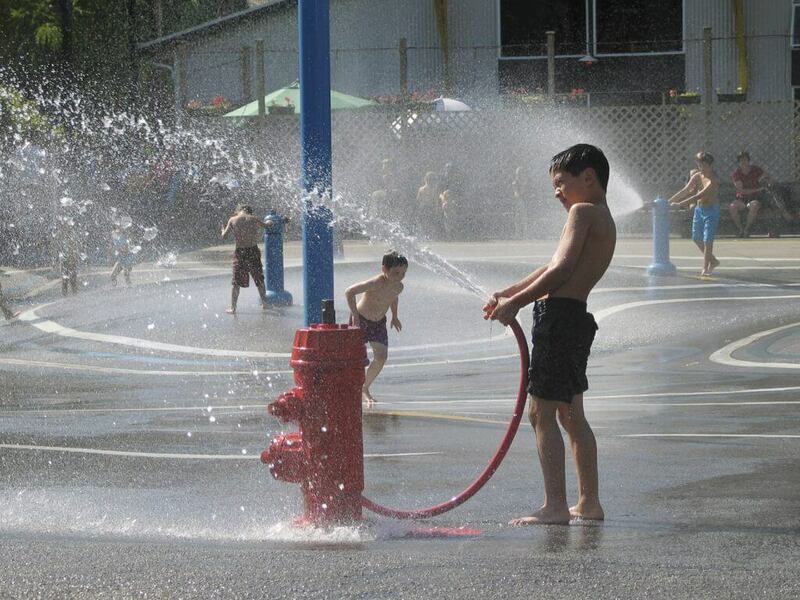 I didn’t know Vancouver can be so much fun for the kids. Though I do not support the use of horses or dolphins for carriages and entertainment respectively, I am definitely excited about the train ride. What got me most excited was Sea to Sky Gondola. It must be thrilling! Would 100% follow this itinerary even without kids! I’ve already got the suspension bridge very firmly on my list of things to do if I ever go to Vancouver since reading your post specifically about it. The World of Science looks so cool! We have something similar here in Cardiff called Techniquest, although significantly more outdated than Vancouver’s.